EU member states could soon be charged hundreds of millions of euros for denying asylum to refugees if the European Commission has its way. The scheme is considered one of the most contentious parts of the revision to the so-called Dublin asylum regulation, which allows northern EU countries to deport refugees to their port of first entry. 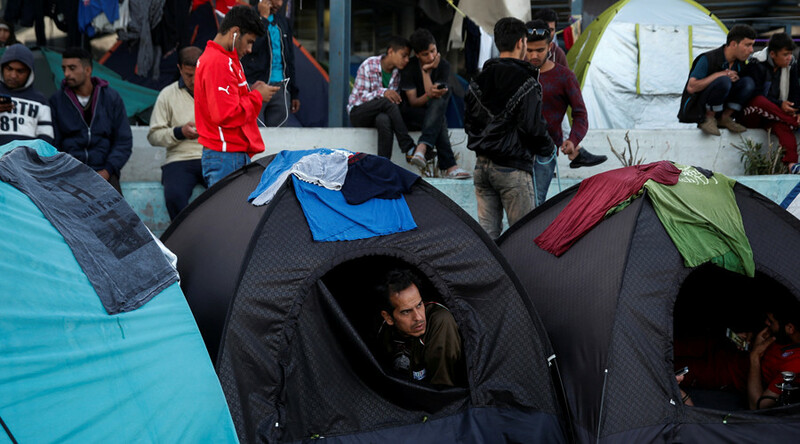 The €250,000 fine per refugee ($289,659) was reportedly agreed upon during Monday’s meeting. However, the fine is not yet set in stone and could be subject to negotiation. “The size of the contribution may change, but the idea is to make it appear like a sanction,” an official familiar with the proposal told the Financial Times. The commission’s goal is to redistribute the weight of the refugee crisis from countries such as Greece by introducing automatic asylum quotas for each EU member state. So far, the commission’s scheme to relocate 160,000 asylum-seekers has reportedly not even reached one percent of its target. Some of the countries opposed to the draft plan include Poland, Slovakia, Romania, and Hungary. Under the new proposal, a country such as Poland, which has an existing quota of 6,500, would have to pay over 1 billion euros ($1.1 billion) if it were to refuse to accept any refugees, according to Financial Times. Another example is Hungary, which has a quota of 1,294 but has offered no places to asylum seekers so far. Under the new plan, the country would be forced to pay a fine of 323 million euros ($3.7 million). The worst refugee crisis in Europe since World War II is ongoing, with most asylum seekers arriving on the continent from the Middle East and particularly Syria, where around 250,000 people have been killed and more than 12 million displaced since a civil war began there in 2011, according to the latest UN figures. Over one million refugees reached Europe’s shores in 2015. More recent figures from a February report compiled by the International Organization for Migration reveal that more than 100,000 people arrived in Greece and another 7,507 entered Italy since the beginning of 2016. Earlier on Wednesday, the Commission backed a visa-free travel agreement with Turkey after Ankara threatened to back out of a landmark migration deal. Under the agreement, all illegal migrants reaching Greece from Turkey's shores are to be returned. In exchange, the EU agreed to take thousands of Syrian refugees directly from Turkey. While the European Commission considers imposing stricter refugee laws, EU countries seem more concerned with assessing the number of refugees using their services. For example, bus drivers in northern France were reportedly told to count the number of migrants using the Twisto transport company based out of Caen, according to the France Bleu channel. The company’s bus service has a route that runs from the center of Caen to the Ouistréham ferry terminal, which has become a hot spot for refugees who want to eventually cross over to the UK. Forms have reportedly been distributed that require Twisto drivers to fill in boxes asking for information such as: “Number of migrants inspected” and “Number of migrants booked.” Another document asks the drivers to record where the migrants got off the bus. France Bleu channel suggested that the order to keep track of refugees came from police, but local police chief Laurent Fiscus denied the allegations. However, he added that acquiring such information could be very useful.